Upscale your performance! 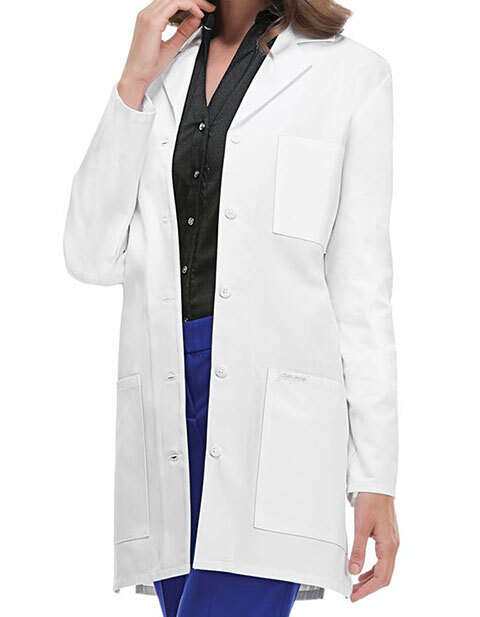 Cherokee's five-button 32-inch lab coat made of Certainty antimicrobial technology is well suited for all medical professionals. Featuring spacious pockets for organized storage of your essentials; notched lapel collar for style while the side vents aid in mobility to optimize your performance and efficiency at work.